Saturday night Major League Baseball announced the starters and reserves for this year’s All-Star Game. With the exception of a final fan’s choice vote for each league, and some players to be named later by the managers, the rosters are pretty much set. For the most part the rosters seem sound and despite the ill conceived notion of fan voting, the bulk of the players seem to have gotten on the team through merit. Of course since the introduction of the “all teams have to be represented by at least one player rule” some of the reserve players would not be on the team were it not required for someone from their team to be there. Jason Castro was named to his first All-Star game Saturday. 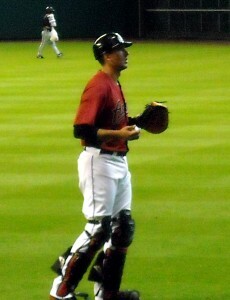 This brings us to Jason Castro, catcher for the Houston Astros. Castro was named to the All-Star game as the sole representative of the Astros. To think that his level of play reaches the level of an All-Star leads one to have to make a quantum leap of reasoning. Even given the notion that someone from the Astros has to be selected as an All-Star, Castro does not even lead any offensive categories on the team. Which means that he is not even the best of the worst team in baseball. Castro ranks second in batting average behind Jose Altuve (last year’s Astros All-Star representative) and also ranks second on the team in runs scored and home runs. Granted Castro had a “see I belong in the game” moment Saturday night when he hit a three-run home run against the Rangers as part of a shocking upset in Arlington but the case remains puzzling as to why he is heading to the All-Star game as a reserve catcher. To be fair I have nothing against Jason Castro despite the Astros seeming to have a man crush on him since drafting him with the 10th pick of the 2008 draft and repeatedly shoving him down the throats of the fans despite the presence of better catchers on the roster. While there have been some catchers through the years that have swung the bat well those are usually few and far between. And in the case of former Astros catcher turned second baseman Craig Biggio catchers that can hit are usually moved to other positions to prolong their careers. 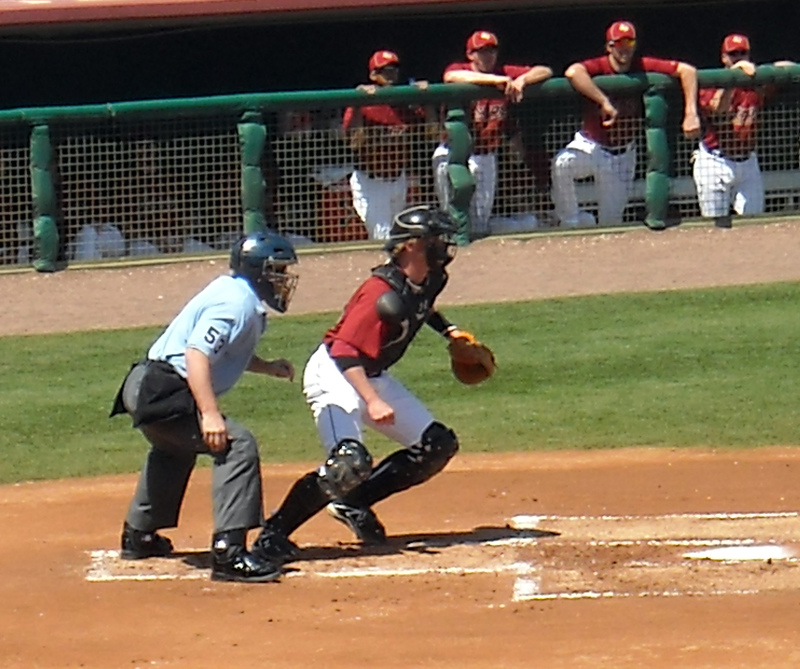 Had Craig Biggio remained a catcher it is very probable that he would not have had the long career that allowed him to obtain over 3,000 hits. So to me the job of catcher first and foremost is that of a defensive player that works well with the pitchers and can throw runners out at second base. Through the years prior to Jason Castro arriving at the Astros there were a string of such players who while not known for consistently driving in runs they definitely minimized opposing teams scoring through their work behind the plate. Future Hall of Famer Ivan “Pudge” Rodriguez spent only part of a season with the Astros before being traded to the Rangers. To me the best catcher to ever wear an Astros uniform was Ivan “Pudge” Rodriguez. With a young team and a future Hall of Famer behind the plate, it seemed like a no brainer to keep Pudge in the Astro pinstripes for as long as possible to allow him to mentor the pitching staff and provide veteran leadership in the clubhouse. 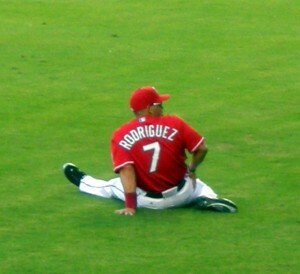 Sadly the Astros traded Rodriguez to the Rangers midway though the 2009 season. But during his time there he was definitely fun to watch and showed Astros players and fans what a real catcher looks like. J.R. Towles was another catcher who called a good game but fell short at the plate. Towles and Castro were both competing for the starting job at the same time. Towles beat out the injury prone Castro twice in spring training for the job and received high praise from many of the Astros pitchers for his presense behind the plate. For my money former Astro J.R. Towles was twice the player Jason Castro is where it counts most, defensively. Unfortunately for Towles the Astros disagreed and kept sticking with the error prone Jason Castro behind the plate. Unfortunately Towles struggled mightily at the plate generating far more outs than hits. After a few seasons of battling between the Majors and Minors, and with Castro still the anointed catcher of the future, Towles was finally let go paving the way for the Jason Castro era to begin. Still even after Castro was anointed the starter he still faced injury issues and actually missed the entire 2011 season with a knee injury received during Spring Training. It seems that he is finally showing the offensive spark that they had hoped was there but there are still glaring defensive issues visible in his game in the amount of passed balls that get by him. His ability to call games and be in sync with his battery mates is also an area that is still in work. I certainly hope that I am wrong and Jason Castro can become a successful every day catcher for years to come and help the team with both his bat and his glove. I just have not seen enough evidence of that to date to give me confidence in his ability to be that player down the road. Granted, as a reserve there is no guarantee that Castro will take the field at any point in the game. The rules say a member from every team has to make the roster but it does not say that the managers are forced to use every player like some Little League pay to play situation. I truly hope that both fan voting and guarantee representation from all teams are removed from the All-Star Game landscape in the coming years to return the game to its roots where the best players, regardless of team affiliation, are battling each other for bragging rights and home field World Series advantage. Until that day comes the All-Star Game will carry a virtual asterisk next to it meaning that the accomplishments made within it should not be judged the same way as the the pre fan vote era. Now if you’ll excuse me I need to start planning my All-Star Game menu.